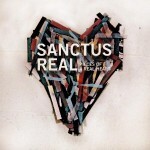 Last year Grammy-nominated, audiologist Dove Award-winning Sanctus Real released a song called ‘Lead Me’. The song is a personal confession and prayer written by lead vocalist Matt Hammitt. The song is a great story of what can happen when we follow God’s plan for our lives. As Christian men, we are called to be leaders in our house, our community and within the world, but this can be a very difficult road for many. So many men and women today haven’t had good examples, either in their own family or in their community. Often, men haven’t been how to consistently and respectfully be spiritual (or other) leaders. In the past several years, I have been blessed with meeting a number of men that are true leaders in their families, at work and in the area we live. They serve as great examples to me of the man that God has called me to be, and it’s still an area I grow in every day. May these videos be a calling and an example to you. Who is a good leader in your life? How have they helped you to grow? Is it the big things or the small things that have had the most impact? What have they shown you? Do you think they know the impact that they have had in your life? What has changed in your life as a result of them reflecting God’s light? Do you wish that your husband, father or friend would lead more? How can you encourage others? For all my male friends! Love this! Watch top video. This is a great song for all! Very timely post for me. I woke up early to journal, believing God was telling me something and then I ran across this website from a link I found on Crossfitfaith.com. This has been a blessing to me. I will bookmark this site and come back often.